A 40 year-old man fell from a multi-story building. He sustained multiple traumatic injuries including a severe head injury. 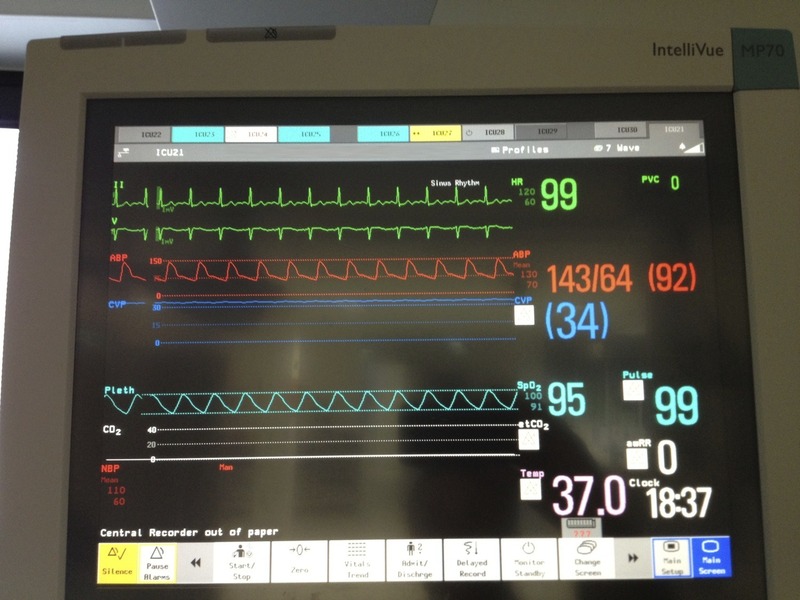 After 10 days in ICU he became increasingly tachypneic with a respiratory alkalosis, then was noted to have rhythmic right arm and facial jerking and developed a fixed, dilated right pupil. He was given treatment to lower his intra-cranial pressure, including hypertonic saline and a thiopentone infusion. Q1. 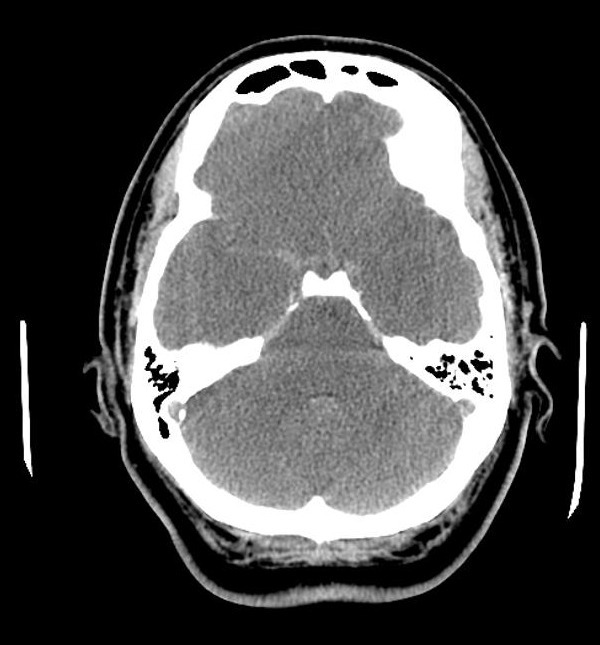 What are the CT head findings? Q2. 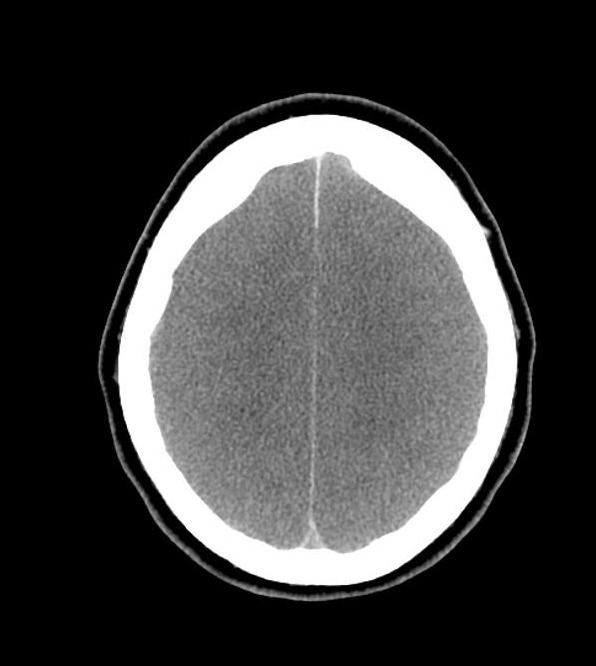 What is pseudo-subarachnoid haemorrhage? Following the CT head the patient was reassessed and his progress was discussed with his family. A procedure was then performed. Q3. What procedure is being performed? There is also an incidental finding of elevated CVP with a flat trace, which may be artifactual. Q4. What are the preconditions for this procedure? Q5. How is the procedure performed?